The NCCD Board of Directors elected a slate of officers to serve two-year terms at their mid-January meeting: Paul Castro, JD; Fran Allegra, JD; Michael Pearson; and Theron Bowman, PhD. Mr. Castro, a five-year member of the NCCD board, recently retired as President and CEO of Jewish Family Service of Los Angeles (JFS), a social services organization serving more than 100,000 individuals and families annually. Before assuming that role in 2000, Mr. Castro held several other leadership positions at JFS during his almost four decades there. In roles such as chief financial officer, Mr. Castro used his strategic insight and business judgment to help grow and manage the day-to-day operations of JFS to its current $35-million annual budget. An active member of the national and regional nonprofit community, Castro is a past chair of the board of the National Committee for Responsive Philanthropy, a former board member of the Alliance for Families and Strong Communities, and a member of both the Nonprofit Finance Fund Healthy Outcomes Initiative Advisory Group and the Community Advisory Board of the Los Angeles Community Academic Partnership for Research in Aging. 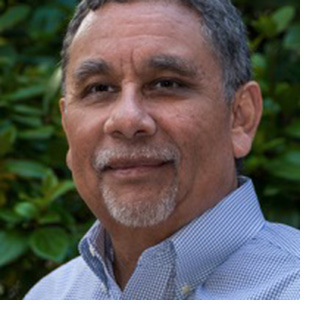 Mr. Castro has worked tirelessly throughout his career to further the opportunities for disadvantaged communities in the areas of social justice, philanthropy, and fundraising. In the early 1990s, he led successful efforts to establish the United Latino Fund, which raises and distributes dollars to organizations serving the Los Angeles Latino community. In addition, he has effectively advocated for services for the most vulnerable members of the community at the local, state, and federal levels. 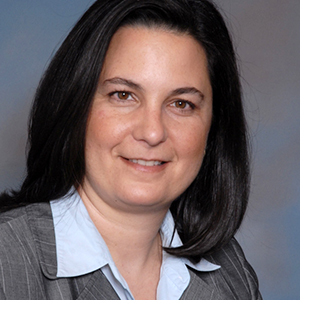 After leading several child welfare and human services organizations during the past two decades, Ms. Allegra joined the law firm of Cole, Scott & Kissane, P.A. as a partner. An accomplished attorney, nonprofit executive, and foster care expert, Ms. Allegra led foster care case management organizations and distinguished herself as an early leader in Florida’s community-based care (CBC) child welfare model, leading one of Florida’s largest CBCs, Our Kids of Miami-Dade/Monroe, Inc., for a decade. Subsequently, she was the founding president of the SEED School of Miami, Florida’s only urban public boarding school. Working alongside state and national child welfare leaders, Ms. Allegra has been instrumental in the success of Florida’s innovative approach to child protection. At Cole, Scott & Kissane, Ms. Allegra continues to live out her passion by defending nonprofit organizations on the front lines of Florida’s child welfare system. Additionally, Ms. Allegra is dedicated to defending private and public education institutions in claims brought against them. Ms. Allegra is one of Florida’s influential voices regarding the legal issues facing foster care and education entities, and she has received numerous honors and awards for that work. During her tenure as CEO of Our Kids, she led the organization’s efforts in creating groundbreaking statewide legislative changes in the Florida child welfare system. As a result, then–Florida House Speaker Marco Rubio included Our Kids in his book 100 Innovative Ideas for Florida’s Future as Idea #68. Ms. Allegra also was tapped by Governor-Elect Rick Scott to serve on the Children and Families Subcommittee of the Health and Human Services transition team. She has been an NCCD board member since 2016. Mr. Pearson is president and CEO of Union Packaging (UP), an earth-friendly paperboard packaging maker. UP partners with nonprofits to offer career opportunities to those with barriers to decent employment, including ex-offenders, public school graduates with learning differences, and documented new arrivals from many countries. UP was selected as the 2014 Goodwill of Delaware and Delaware County Workforce Partnership Employer of the Year. In addition to other awards and honors, Mr. Pearson received the Business Leadership in Diversity Award from Fisher Phillips in 2015 for his longstanding commitment to fostering diversity in business within the Philadelphia business community. The same year, he was named an outstanding director by the Philadelphia Business Journal. 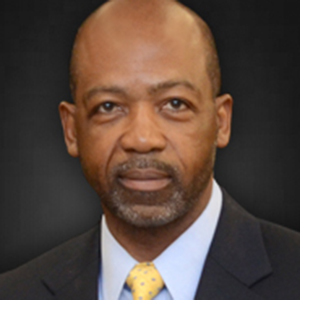 Mr. Pearson serves on the board of directors for the William Penn Foundation and the executive board of the Chamber of Commerce for Greater Philadelphia, is chair of the Philadelphia Public Health Management Corporation Board, and is a Philadelphia Regional Port Authority commissioner. He previously held leadership positions with the Philadelphia 2016 Host Committee for the Democratic National Convention, the United Way of Greater Philadelphia and Southern New Jersey, the Community YMCA of Eastern Delaware County, and many other organizations. He has served on the NCCD Board of Directors since 2015. Mr. Pearson served as a US Army officer in the Persian Gulf War, where he received the Bronze Star. Prior to UP, he worked at Pfizer, Wyeth Laboratories (now Pfizer), and Westvaco (now WestRock). Dr. Bowman began his law enforcement career in 1983 as an officer with the Arlington [Texas] Police Department, serving in numerous positions before his 1999 appointment to police chief. Most recently, he served as deputy city manager over Arlington’s Neighborhood Services. He retired in 2017 and now serves as president and CEO of Theron L. Bowman, Inc.
Dr. Bowman led regional public safety efforts for the 2010 NBA All-Star Game, MLB World Series games, and Super Bowl XLV. 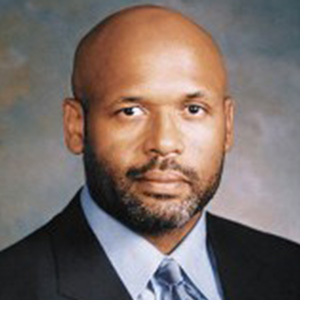 He has led, managed, and participated in police practices investigations and audits in several US cities. Dr. Bowman was recognized by the African American Peace Officer Association of Arlington as the Officer of the Year and received a proclamation of achievement from both the Texas State Senate and the US House of Representatives. He was recognized by the University of Texas at Arlington as a University Scholar in 1998, received the Outstanding Local Leader Award from the John Ben Shepperd Public Leadership Institute in 2003, and received the Gary P. Hayes Award from the Police Executive Research Forum in 2004. Dr. Bowman has served as chair of the Texas Intelligence Council; commissioner for the Commission on Accreditation for Law Enforcement Agencies; and, for more than 10 years, an executive committee member for the International Association of Chiefs of Police. He has been a member of the NCCD board since 2016. Bios of all NCCD board members can be found here.